Aalayam - Colors, Cuisines and Cultures Inspired! 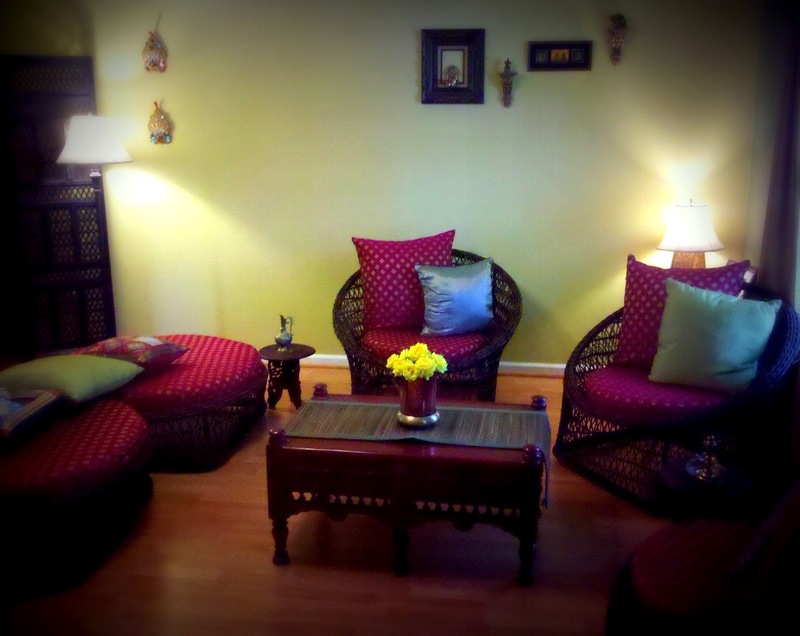 : "Indian"izing your living space! 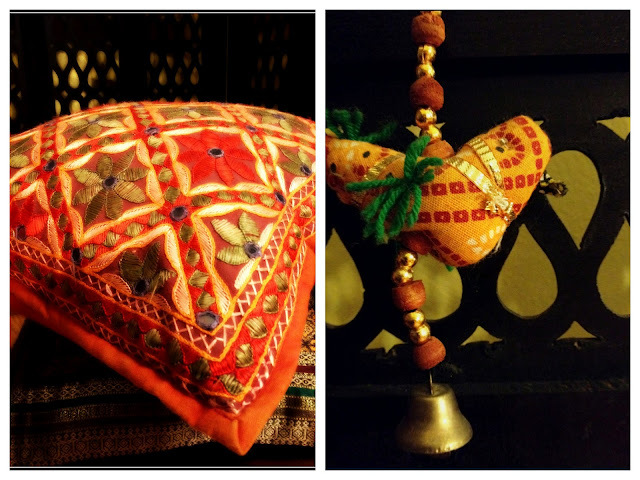 Do you often ponder how to add a touch of "India" to your living space? Do you miss the rich colors, the deep textures, and the vibrant accessories that create a melody in your heart..whenever you browse through the aisles of World Market or Ten Thousand Villages? Symbols so reminiscent of the iridiscent diversity of Indian decor? Then..I am one of your kind. Start with the statement piece - it could be a vintage statue that you found at a thrift store that captures the colors you love, or a intricate carved center table you discovered on craigslist that you refurbished and polished. Group similar pieces together. Find unconventional ways to display artifacts. Capture the essence of colors, themes and contrasts. Is Red your favorite color? Does the vibrancy of the hue remind you of paprika and warm spicy curry? Then pick bold red accessories, statues, idols, flower pots - group them together and create a vignette. Don't forget the softscaping! Pillows and fabric based accessories add texture - that creates the visual interest in any living space. Texture instantly transforms your space from blah to having chutzpah! With internationalization of markets, you will be surprised to find how affordably you can decorate your space with the flavor of India. And..the piece de resistance! The seating. Your options are virtually unlimited. The key is to think out of the box. I personally do not like couches. Low seetees, rattan furniture and quirky looking chairs (read Ikea and World Market) work great if you want to add that touch of whimsy to your living space, while on a budget. I do love the structure and the texture these outdoor seating chairs and ottomans bring to my living room. Add some tailored cushion covers custom-made in your current favorite color, and ambient lighting, and there! 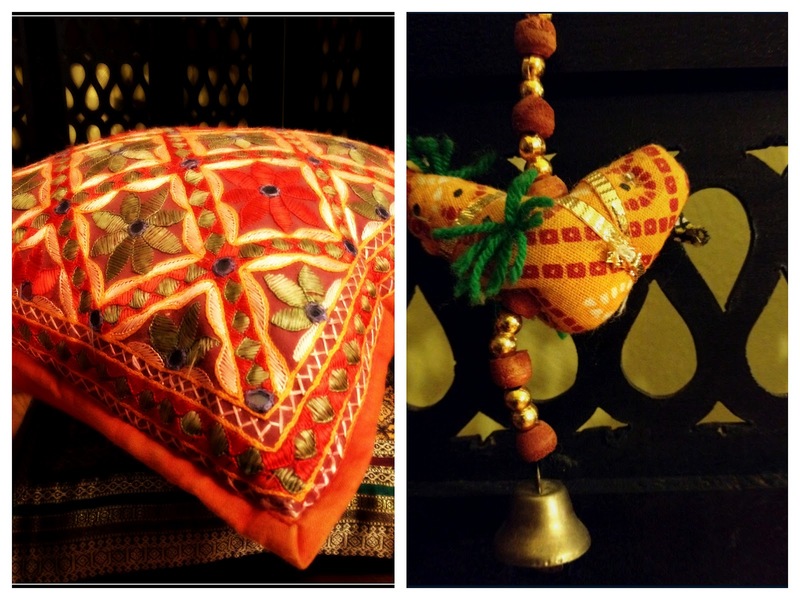 all of a sudden - you have your very own piece of desi nirvana that no one else has! Enjoy your living space. You deserve the joy it will bring you.